What's on your wishlist for the Google Pixel 3 and Google Pixel 3 XL? 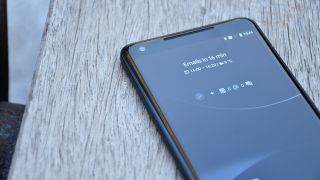 If you answered the introduction of wireless charging and the return of the Active Edge squeezable sides feature then you might be in luck, according to code in the Android P beta. Thanks to some industrious digging by the fine folks at XDA Developers, references to both wireless charging and Active Edge have been unearthed in the latest Android P beta. This doesn't confirm these features are coming to the Google Pixel 3 phones, but it certainly makes their inclusion more likely. Specifically, the code makes reference to a new class of charging device, a dock that would juice up your phone without any cables. While Google's earlier Nexus devices had wireless charging built in, it's been missing from the more recent Pixel phones. The inclusion of Active Edge technology would perhaps be less of a surprise, considering it was present and correct in the 2017 Pixels. The idea is you can squeeze the sides of the device to activate Google Assistant, silence alarms, and so on. Again, it's code hidden in the most recent Android P beta that suggests Active Edge is coming back. There's a bit of a tweak to the feature, but it's still there, and it looks like it's going to be available on both the Pixel 3 and the Pixel 3 XL. If it's something you like on a phone, start saving accordingly. We're seeing more and more information leak out regarding Google's flagship phones for 2018, with the larger model tipped to have a display notch, and both devices in line for some significant internal upgrades. We're expecting a launch around October time.